My son Roo is 3. He loves to count. When I created this worksheet I knew he couldn't read it or write his answer down, but I hoped that it would help him with size recognition, that it might help him improve his coloring skills and that he would have fun counting. This worksheet is great because it is simple enough for the smallest kids to use (with help) and your early readers can use it too. With Roo I have him color the stars as directed. 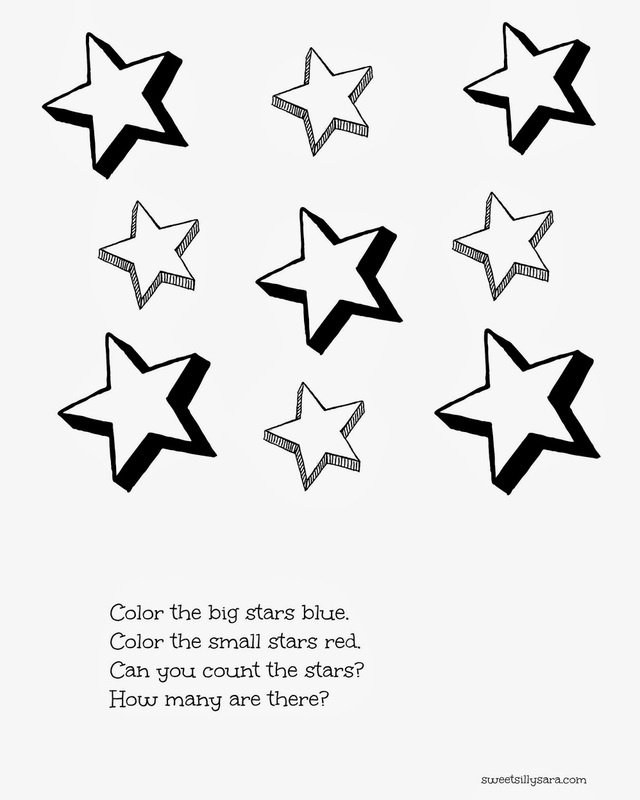 Then we count all of the stars and write down how many there are. If he is feeling patient we count the red stars and the blue ones too. So far this has been a worksheet my son likes to do. We have printed this one off several times. His coloring skills haven't improved yet, but he likes to color with me regardless and he never gets tired of counting the stars.